Due to the failing health Pope Benedict XVI, has announced his retirement will take place on 28 February and leave the papacy vacant until a successor is chosen. This soon to be retired pontiff is deeply conservative, who has been overshadowed by sexual abuse scandals. Pope Benedict, 85, leaves his post with a checkered reputation after a papacy that was at times both conservative and divisive. According to media reports his likely successor could be Cardinal Angelo Scola, archbishop of Milan, Cardinal Christoph Schönborn, archbishop of Vienna , or Cardinal Marc Ouellet, the Canadian head of the Vatican’s office for bishops. Candidates must have no opinion on American’s Foreign Policy, the coming economic collapse, or views that would conflict with the Catholic Doctrine. The coming pontiff must reflect the Church’s opinion on abortion, contraceptives, starvation in Africa, Global warming, melting of the ice caps, women in the priesthood, and ignore the blatant corruption coming from the American Tele evangelists, including the child abuse scandals that have rocked the papacy in recent times. 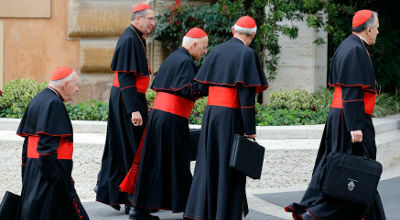 They claim Cardinals will meet and vote on nominees in a series of ballots until a new pope is chosen. But conspiracy theorist know that the trilateral commission, the Bilderberg, British Royal Family, and the Vatican council will appoint a new pontiff as long as his price is right and he can keep a secret. Unveiling of Nokia Lumia 900 images – an accident or a strategy?